Struggling to be a successful blogger? These are the top 3 reasons why and how to turn it around to be successful! Let me ask you a question. Do you feel like you’re successful at blogging? Have you even considered what a successful blogger looks like? For me, a successful blogger looks like someone who has successfully branded themselves (voice, niche, unique selling point, etc. ), has built a thriving community (small or large) around themselves, and are able to make as much money as they want from selling products and services to their fans without sacrificing their quality of life. Whew! That was a mouthful but that is truly what I consider to be a successful blogger. I’m the admin of four Facebook groups with about 8,000 bloggers and have email lists totaling over 2,000 bloggers and one thing that I’ve noticed among these 10,000 people is that they are all mostly confused. Building a blogging career is CONFUSING and there’s a lot of moving parts. Heck, I still get confused too! **Raises hand** Yup, I did think I could do this. And I thought I could do it without the help of an experienced business coach but we’ll go more into that later. So many bloggers think they’re supposed to be overnight successes when in reality, when have they done anything and gotten massive success in only 6 months? It took me 5 1/2 years to get a degree. It took me 3 years of professional experience just to get a real job in my field. It took me 2 years of freelancing before I was able to make 2K per month. 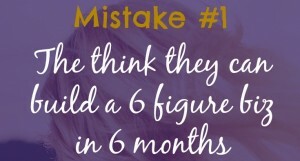 Hell, it takes 9 months to make a human being so what made me think I could build an empire in 6 months?! It’s kinda crazy…but many bloggers have this goal in mind and while I’m not saying it’s impossible I am saying that you’re probably not going to be one of the outliers who actually make this a reality. I have to say that I blame a lot of bloggers and coaches who lure people in with click bait like “How I built a 6 Figure Biz in 4 Months” or “How I made 200K in 12 Months as a Brand New Blogger”. I will also say that more entrepreneurs and coaches are doing a better job with being honest and telling people the whole story like how they had 10 years of experience working for start-ups and invested 80K in their business to make 100K. Or how their appendix literally burst and they didn’t even realize it because they were working so hard on their business (yes this really happened to a blogger I follow). Lemme tell you, that couldn’t be me! But kudos to them. This is why they were able to obtain the amount of success they did in that short amount of time. Most bloggers are full-time employees, stay at home parents, or full-time parents and full-time bloggers who have at most a few thousand to spend on this expensive *hobby*. That’s why we have to use our resources wisely and we have to be realistic about how long it will take until we make a return on our investments. I know that some of us literally have no money to invest in our blogging businesses and I just have to say that unless you have someone willing to mentor you for free, you have literally no chance of being successful. I’m sorry but businesses require investment. There is nothing in this world that you can get for free. You can’t get a job without spending money on education, a car, gas, or money for the bus, a uniform, and the list goes on and on. So what makes you think that you can run an online business without spending any money? I’m not saying you have to spend thousands but expect to spend at least $50 per month (yes there are people who will not even spend that much even if it means they can potentially make $1000 per month from that investment). With that being said I think it’s important for everyone to invest at the level they’re at and to never let anyone try to guilt trip you into spending more. I do recommend that if you want to get into blogging specifically that you invest in an experienced coach or a premium all-inclusive blogging course. I’ve heard great things about Ruth Soukoup’s EBA (Elite Blogging Academy) Course. I think it went up and is around $500. It’s only open for enrollment once per year. And no that’s not an affiliate link–I’ve never taken the course before. You may think that $500 is a lot to invest but the knowledge you get is so much more than what you know now that it is usually worth it. Plus, college courses are thousands of dollars and we have no qualms about going into debt for courses that will never make us any money (geez don’t even get me started). I have invested in a biz coach and a $1000 course by Yaro Starak and it was two of the best investments I ever made. I struggled for 2 years trying to figure stuff out on my own and learned most of what I know in a matter of months. 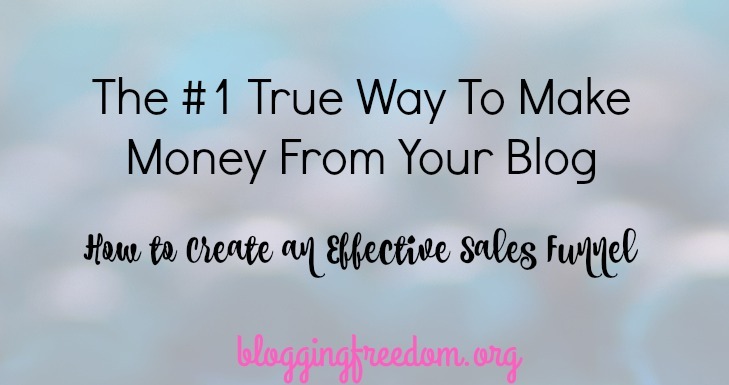 If you feel like there is no way possible for you to spare a dime to invest in your biz, either make some money on the side to invest or give up your blogging dreams because this isn’t for you. Now when I talk about investment I don’t just mean money, but time as well. You have to be willing to invest a considerable amount of time in the beginning of your journey. If you don’t have a lot of money to invest in your business you better be willing to spend it in time because you have to manually do everything yourself! The secret is that all super successful bloggers you see online have a *team* of people helping them and these people still work 40 hours themselves. Now I know that this may all seem so discouraging but you can do it too! I just want bloggers to be realistic about what it takes to become a successful blogger so that they don’t get frustrated and quit before they actually reach their goals. Believe me, I know how smart and capable you are. You’ve probably been running things for years, but when it comes to running a business where you have absolutely no experience in, you’re going to need some help. Now you probably think I’m going to tell you to hire a VA (virtual assistant). NOPE! Actually, I think hiring a VA before you know what you’re doing is a big mistake. Why? Because you don’t know what you’re doing so you can’t really tell the VA what to do and you end up wasting time and money. Plus, you’re not going to have a lot of money to invest in a quality VA so you’ll end up getting one overseas for cheap and end up more frustrated than when you started. No what I mean by getting some help is surrounding yourself with like-minded folks and/or hiring a coach to help you. I see so many talented people get started with blogging and then quit because life gets in the way or they no longer have the motivation to keep going when times get tough. That’s why it’s super important to have a mastermind group to hold you accountable and push you beyond your limits. 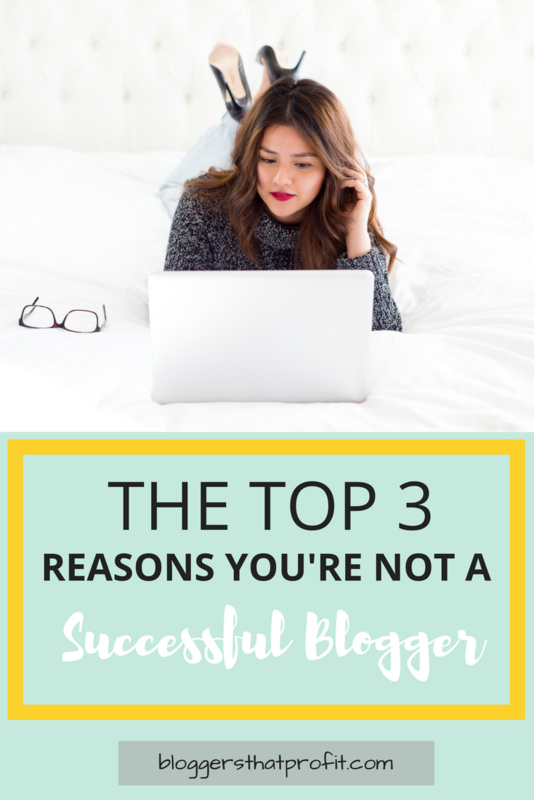 More than likely your friends and family don’t understand your blogging dreams. They may not even support it. That’s why it’s so crucial that you have a community and a small group of people who understand and support you. What is a mastermind group? It’s a small group of 3-7 people who meet weekly or bi-weekly basis and help each other reach their full potential. It’s a meeting of the minds! Everyone contributes with their own knowledge and these people give you a place to bounce your ideas off of. Not convinced? Big name bloggers like Pat Flynn, Russell Bronson, Chalene Johnson, and practically any other successful entrepreneur will tell you that mastermind groups were essential to their success. Top internet entrepreneurs pay hundreds of thousands of dollars to be in mastermind groups. That’s how valuable it is! And you are doing yourself a huge disservice if you’re not in one yourself. Want to be a part of a mastermind group but don’t know anyone or how to get started? That’s why Brian Manon and I created Bloggers Mastermind. 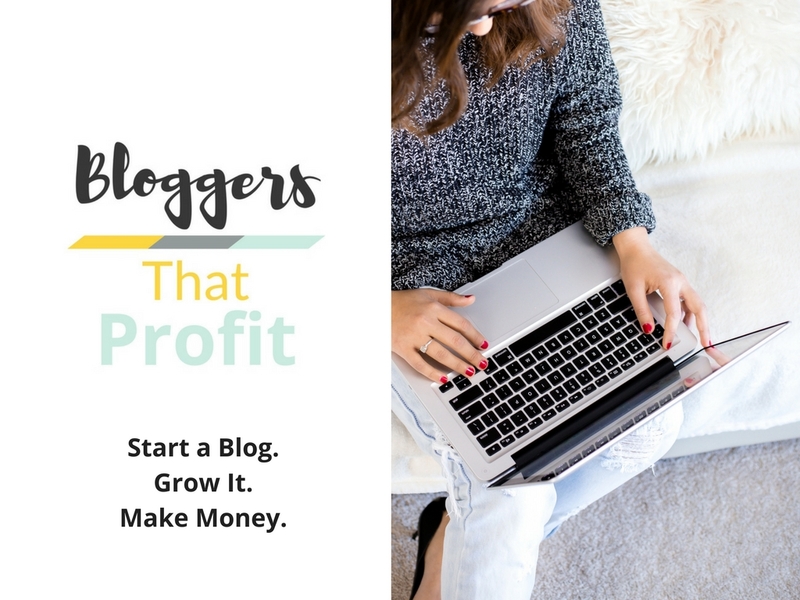 It’s a one-stop-shop membership site for bloggers to learn the steps to monetizing their blogs AND join a focused and dedicated mastermind group. We give each member a questionnaire and match them to a small group of 2-3 other bloggers who match their interest level and skill. Plus, Brian and I are including all of our webinars, courses, and resources for free inside the community. By the end of 2016 (I have tons of stuff planned) that will be literally thousands of dollars of resources for free to members of the community. On top of all that, Brian and I are giving our expertise to our community members for free. Bloggers Mastermind is like my baby and I want it to be a safe and intimate place for bloggers to come and mastermind with one another and with me! And what it to be so affordable that there’s no reason that any blogger cannot invest and get the help that they need. However, the site is currently closed! We have around 30 or so beta members inside the community right now and will be opening it to a very limited amount of people next week (20 or so people). We won’t be launching it full-force until the end of May 2016. If you want to join the interest list, sign up here. Be patient and persistent. Know that it will take years to build your blogging empire and be committed to it. 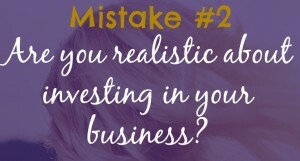 Get realistic about investing in your business. However, only invest at your own level. Surround yourself with like-minded folks. Get in a mastermind group, get focused, achieve your goals. These reasons are perhaps some of the most important factors when it comes to succeeding in business and reasons that I hardly ever hear about. Do you see yourself making some of these fatal mistakes? Tell me in the comments below! 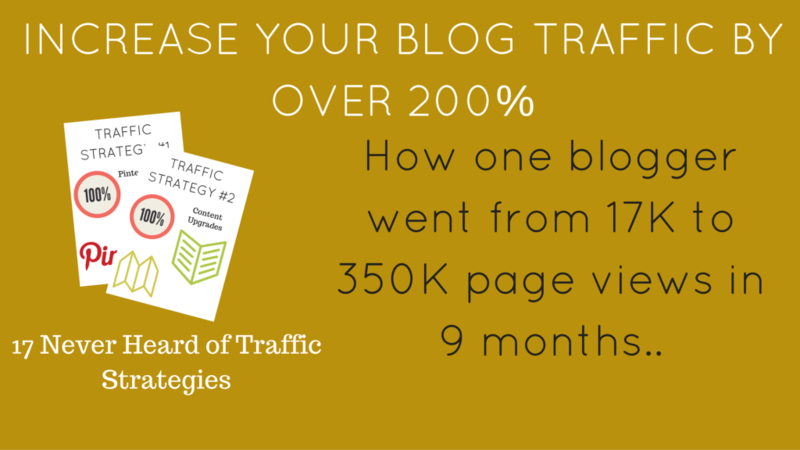 Want to learn how to drive traffic to your blog? I love this, especially where you point out about the clickbait coaching programs. One thing I would add is that even if someone doesn’t have money RIGHT NOW, they can invest by offering services in trade or even free by offering their expertise to build a following. It takes a lot longer, but it can be done. You have to spend time giving in order to get anything. Hey Rose! Yes! I didn’t think about that but you’re absolutely right! You can barter services for knowledge or any combination of those two. And yes, if you don’t have money to invest, you better be willing to invest time to make up for it! I think it’s particularly great that you started this out with defining what a successful blog is. I think every blogger should do that for themselves. I know for me, it’s not about making a living off of my blog because I have another job – it’s about other things, like how people are enjoying and interacting with my blog. Yes, everyone has to define this for themselves and not let others define it for them. I’m happy that you stopped by and commented! Thanks Amanda. I’ve signed on to your wait list. I’ve done most of Ruth’s course (why haven’t I finished? Good question) and what I’ve learned so far is fantastic and helpful. Thank you for recognizing the click bait garbage out there. Awesome! I was on the edge of buying Ruth’s course about a month ago because of all the great reviews! Thanks so much for stopping by! Well said. I especially liked the part about investing in yourself/your business. So important!! This is a really good post. I enjoy these more realistic looks at blogging. I have been lured by plenty of click bait, that’s for sure lol. I definitely went into blogging with an attitude closer to the “I can make 6 figures in 6 months” and now that I’m 6+ months in, I laugh at that. It’s all a big learning curve, and you’re right… so many people give up without realizing that there’s no such thing as an overnight success. I’m going to continue putting in the work and learning more each day about the biz side of things. I think consistency is the key.. like with anything in life. It’s a hard lesson to learn, but it’s the only thing that will give you a chance at success. Yes! You’re absolutely right–consistency is everything. And I have been fooled plenty of times as well. Thank you for stopping by! Hi Manda. I totally agree with everything in this post. It seems like stuff people should know already – that you can’t build a hugely successful blog in 6 months, you actually need to invest in your business (uh…duh) and you need support. But so many of us (me included ) take far too long to figure this out. I am in 2 masterminds and run one for women bloggers as well, and I know firsthand how truly life changing they are. Thanks for sharing this! Hey Daniela! Thank you so much for validating these ideas! Thanks for stopping by! A total reality check. There is so much content out there that boils down blogging to “5 easy steps” or “10 minutes”. Just like any other business, blogging takes dedication, a LOT of work, and focus. Yup! There’s no easy way around it and I definitely don’t want people thinking that success comes without doing hard work. Thanks for stopping by! These tips are all on point. I love how you put everything into perspective with the 1st mistake. Especially when you said it takes 9 months to make a human being. In the beginning stages of running my business, I was hesitant about investing in it. But it really is true when they say it takes money to make money. When it comes to investing in your business, the key is to try to make smart investments. That’s right. With every investment we have to ask ourselves if it’s absolutely needed in order to accomplish success. I just do my blog for fun on the side, but I love the idea of eventually growing it into a business. Right now I’m working on finding my voice! What a refreshing post! I love that you set real expectations. Every time I read one of those “Become a Successful Blogger in 3 months” posts, I wonder what the heck I’m doing wrong, and it’s discouraging. Thank you for validating some of my concerns. I hope I can be part of your group! Yes, don’t let it discourage you! You are completely normal in not achieving success in 3 months. I’ve learned that those stories are never as it appears. I would love to have you be a part of our mastermind! Very interesting. I am hoping to invest in a few classes later this year to see if I can grow my blog! You are so right. When you are not realistic about what blogging really is you can think that you are going to be an overnight success. It takes a lot of hard work and investment to get where you need to be. Great article and I 100% agree about needing to invest in your business. My only issue has been with so many programs out there it’s hard to know if your getting a good one. I was on the edge about joining the beta mastermind group. I wanted to do more research before I dished out cash in my monthly blog allowance. As usual time flew by and I missed out. I will definitely be checking into this when it opens though. There are too many options! I’m still the same way! And that’s okay–it will be opening back up soon and hopefully this time you’ll join us. Thanks for sharing this! I’m currently in Elite Blog Academy, and it was the best investment I’ve made. I’ve been blogging a short time, but I’m already seeing a difference, and it’s not much, but it’s enough to make me believe! Plus I’m totally guilty of trying to do everything myself. Having help is amazing. I’m definitely going to work on finding a mastermind group for myself now! I love that you mention groups and investing in your blog. Blogging groups have helped me tremendously. Everyone is willing to help and share info. I too am taking the money I earn blogging and reinvesting it into seminsrs and my site. Great tips Amanda! Such great tips! I’ve definitely found that surrounding myself in a community with like-minded individuals has had a lot to do with my success thus far as a blogger. Investing in yourself/blog has been a must as well. I definitely want to hire a VA but like you said, I want to make sure I know and have a concrete plan for them so that I’m not wasting time/money. That’s awesome! Thanks for stopping by! Yes, I have worked with clueless bloggers and coaches and it just makes it difficult for both the VA and the business owner. These are great! I 100% agree about being willing to invest in your business. It blows my mind that people want to make money from their blog like a business but not invest in it like a business. Thanks for writing this! Excellent post, there’s definitely a lot of lessons to learn right from the start. Blogging sounds great and super easy but it couldn’t be further from the truth. It takes so much time, effort and money! I could NOT agree more with everything here! It’s so true, seriously blogging takes time and I’m also making a lot of my income with freelance work, but the blog money is starting to roll in and it’s a really good feeling when you put so much work in! You’re amazing Adriana! Keep up the amazing work and thank you for stopping by! This is great advice Manda. I’ve been struggling to decide where/how I should invest in my blog. I obviously want the most bang for my buck, but I also want to do what makes the most sense for the direction I’m hoping to go. Any advice on that? It depends on what level you’re currently on. If you’re a completely new blogger and you want to learn the fundamentals I do suggest Ruth’s course, EBA Academy or Yaro’s course, Blog Mastermind (https://www.ejinsider.com/bm/). 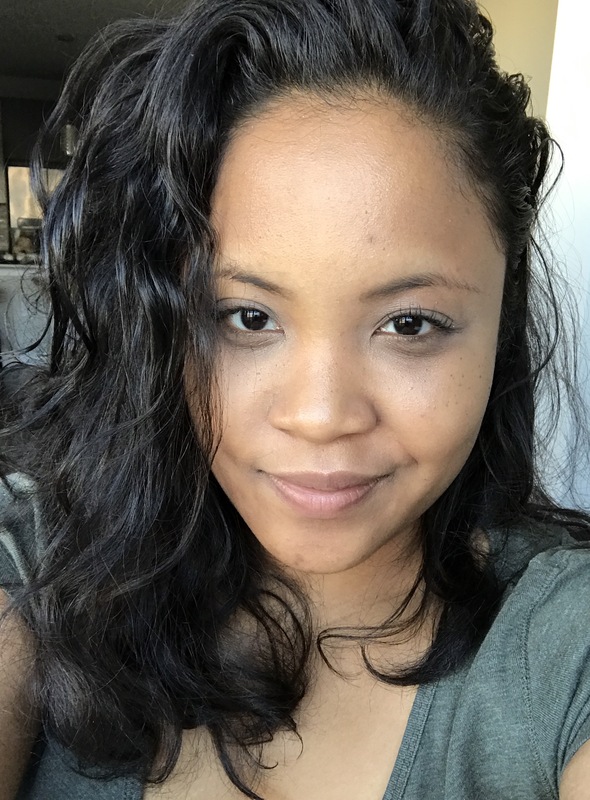 If you are a moderate blogger and you’re looking to make money from selling courses, I suggest buying anything from Mariah Coz (http://www.femtrepreneur.co/your-first-1k/). Great post! It’s so true it takes effort money and above all patience! it’s even harder when you are juggling your job along with a blog! Time commitment becomes an issue too! Some great tips shared! As Rome was not build in a day, therefore we shouldn’t think that we will start earning from our blog ASAP. It requires commitment, continuous effort and time. Thanks for the great reminder! Yes it does Ana! Thanks for stopping by! HAHA. I so was one of those I thin I will make it in 6 months bloggers. HAHA. I am at 6 months now and I have made $20. haha. I am not so focused on making money from my blog as much as I am focused on building platform to get a book deal. You’re definitely going to get there! Your blog is great and it gets lots of engagement! I know as soon as you’re ready to launch a course/service, the money will start to roll in because you’re building such a great foundation. I read down your post and was nodding my head in nearly every paragraph. I will certainly be interested in your group in about six months. I still have the fundamentals to master and I back myself, I really believe I can get there. My primary focus as the minute is building my list and I won’t allow myself to get sloppy in this area. I agree we do have to invest in ourselves. Doing the work myself certainly takes a lot of effort but I have always been one to want to know everything from ground up. Thanks Amanda you’ve just put a fire in my belly. Aw thanks Rachel! I’m happy that you are feeling motivated! I also love that you are soo focused–you’re going to go far girl!